As they say, one of the best ways to know more about a place or a culture is through its cuisine. The Philippines is blessed with more than seven thousand islands, and with a long history of being influenced by different cultures, one doesn't simply just run out of dishes to try that are just as good and as Filipino as it can be in every region. 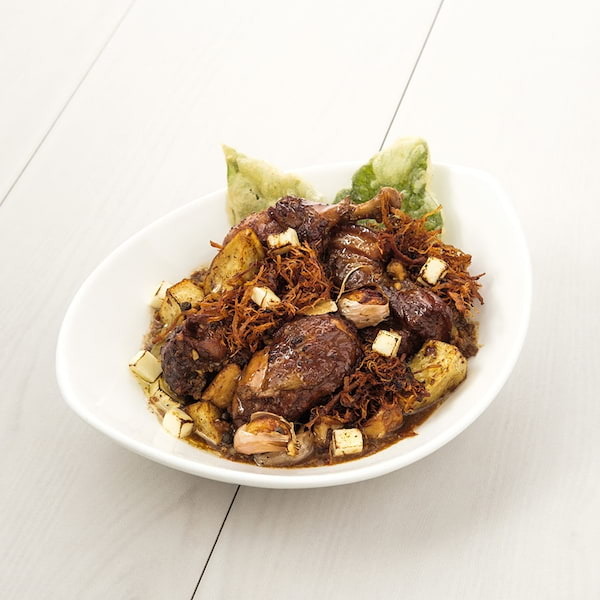 A dish that's traditionally marinated in garlic, vinegar, and soy sauce, some people are brave enough to tag adobo as the country's national dish. 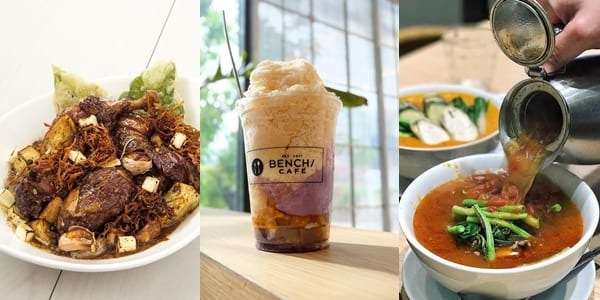 You can find it in almost every local restaurant, and it's usually one of the first dishes that comes to mind whenever one is craving for some Filipino food. It can be served in different variations - chicken, pork, even seafood - and in different styles, depending on where it's from. While some would say adobo is the "unofficial national dish," some would beg to differ and say that the title should go to another Filipino-favorite - Sinigang. A stew of either pork, beef, fish, or prawn, the soup is made sour by adding tamarind, kamias, guava, or tomatoes. 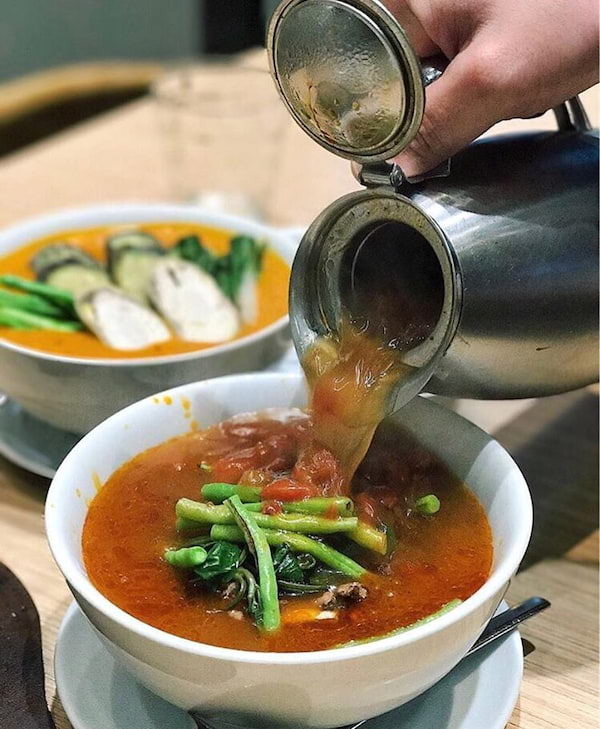 It also makes a well-balanced dish as vegetables like okra, string beans, kangkong, eggplant, and taro are added into it. Like the adobo, most restaurants give their own, unique take on this classic dish. Some of the ones you'd find include Sizzling Sinigang, Sinigang with Watermelon, and Corned Beef Sinigang. 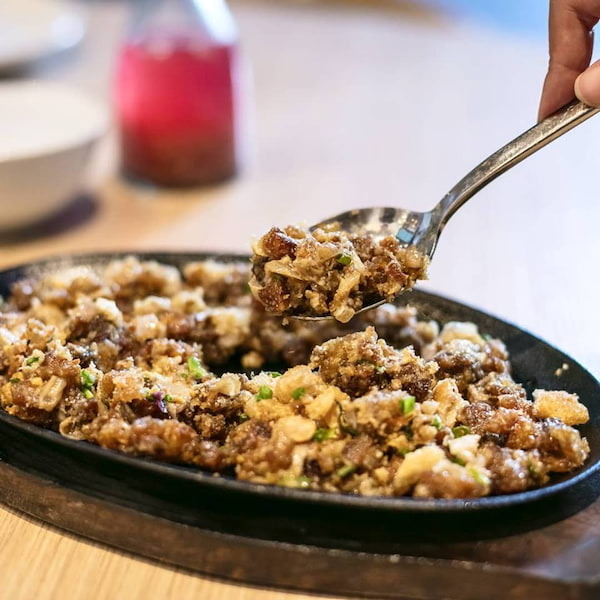 Sisig is a dish which originated in Pampanga, served on a sizzling hot plate and best enjoyed with a cold bottle of beer. It's made with pork cheeks, head, and liver cooked in onion, garlic, and spices, and seasoned with chili and calamansi. It also comes in different variations - tofu, tuna, squid, shrimp, and chicken - and can be enjoyed in many ways. Some like it plain, but there will always be some who want it with egg, Knorr seasoning, or mayonnaise (maybe even all of the above!). 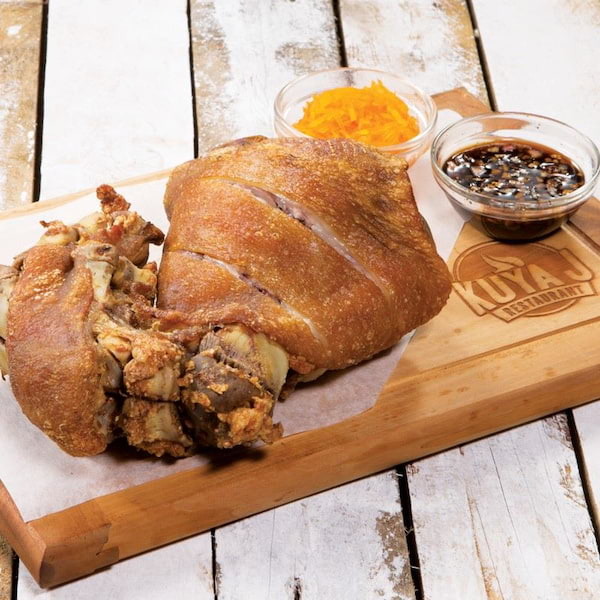 One of the ultimate "putok-batok" dishes, Crispy Pata is basically a whole pork leg boiled before it's deep fried to perfection. The result is something that's crispy on the outside, but tender and juicy inside. While it's already flavorful on its own, you may also dip it into a mix of soy sauce, vinegar, and chili. 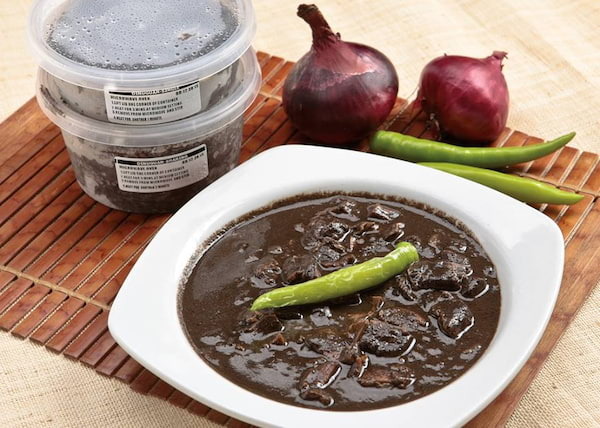 Usually served with either rice or puto (rice cakes), Dinuguan is a dish made with pork meat and blood - sometimes even innards - cooked in vinegar. While taking in the fact that it's made with pork blood can take a bit of getting used to, you'd be surprised at how good of a comfort food this dish is. 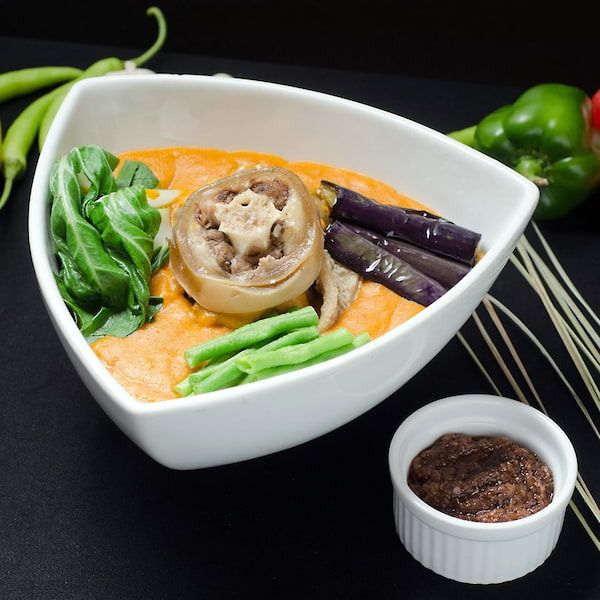 Kare Kare is a traditional peanut-based stew made with either oxtail, pig feet, beef, or tripe and a number of vegetables like banana blossoms, Chinese cabbage, and string beans to add more texture into it. This dish is complemented with bagoong to balance the sweetness of the sauce. 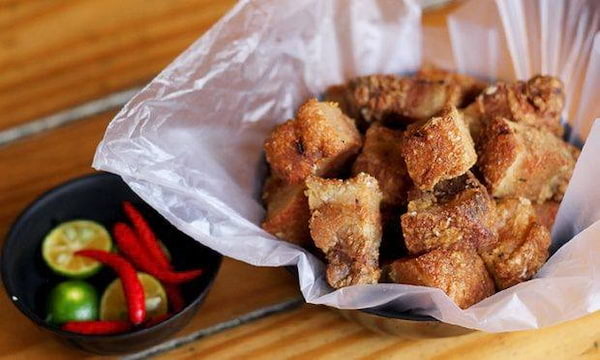 Bagnet is the Ilocano version of the lechon kawali, which is cooked by boiling and deep frying pork belly for it to be extra crispy. It's usually served with a relish of KBL sauce which is short for Kamatis, Bagoong, and Lasuna. A merienda that's more popular during Christmas season, Bibingka is a traditional rice cake cooked in a claypot lined with a banana leaf. 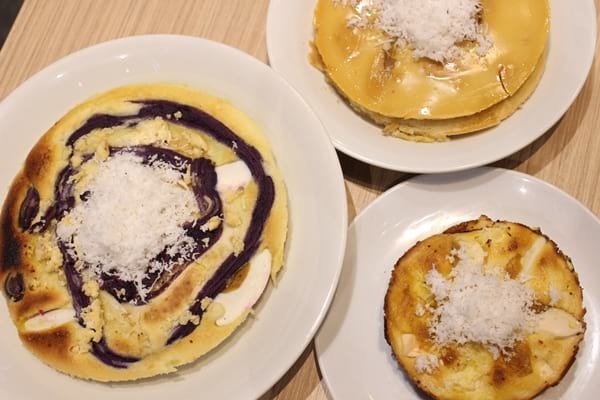 It's made with galapong, coconut milk, eggs, and sugar, and topped with shredded coconut, cheese, and salted egg. 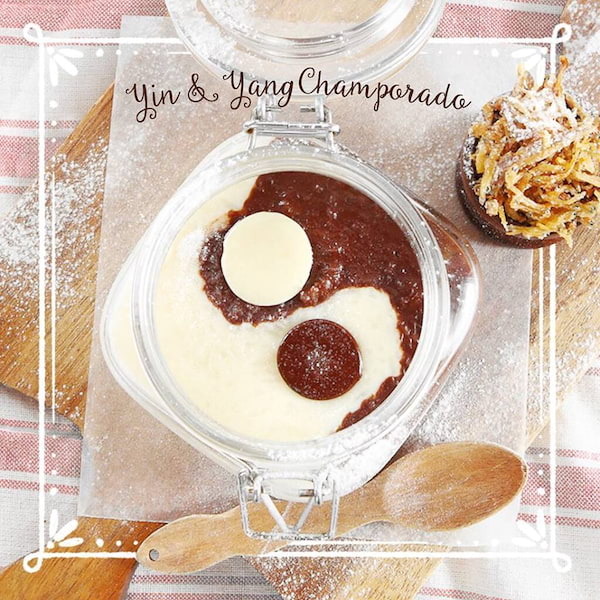 Champorado is Filipino rice porridge made with sticky rice or malagkit and cocoa, and is usually served for breakfast. The sweetness of the porridge is balanced with the creaminess of the milk which is drizzled on it, and the saltiness of the tuyo that it's usually served with. When it comes to desserts, nothing can be more Filipino than the famous Halo-Halo. 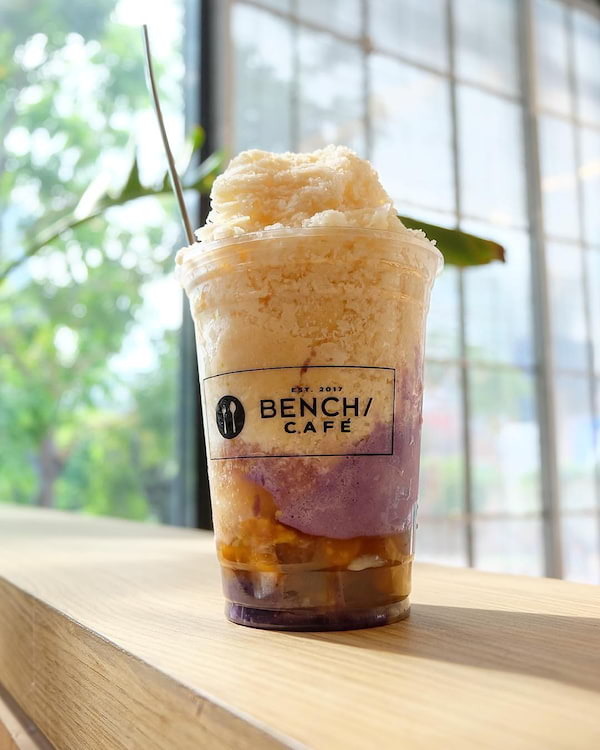 Served in a tall glass, this cold treat is a mix of anything and everything that's good - shaved ice, milk, sweet beans, coconut, sago, gulaman, fruits, ube, leche flan, ice cream, and more. It's the perfect solution to a hot a summer day, as it's not only refreshing, but also really hefty and filling.